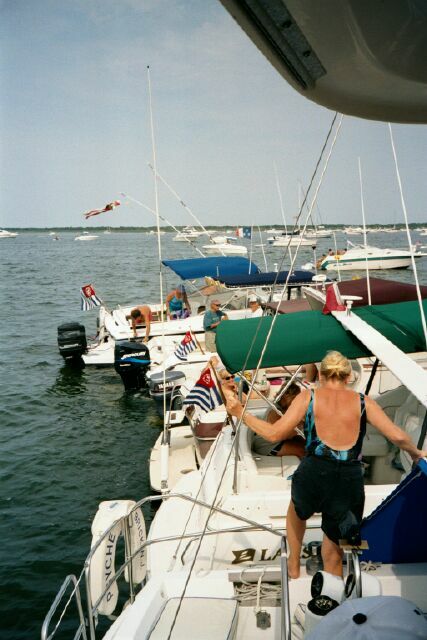 Barnegat Bay Sail and Power Squadron promotes Boating Safety through Public and Member Education and Practice, performs Community service, and has fun on the water! 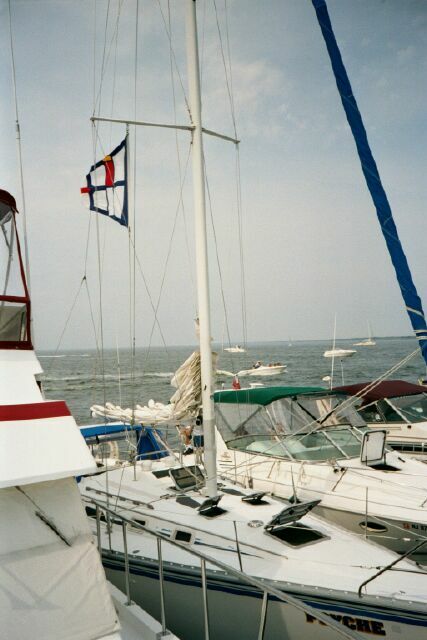 Barnegat Bay Sail and Power Squadron serves the central Atlantic shore of New Jersey, spanning the area from Manasquan to Forked River, NJ. District 4 promotes Boating Safety for the 14 squadrons in its area of operations, namely Central and Northern New Jersey plus the New York City boroughs of Manhattan, Staten Island, and the Bronx. District 4 is one of 33 Districts that make up the United States Power Squadrons. The three primary objectives of USPS are community service, continuing education, and enjoying the friendship and camaraderie of our fellow members. Click here to learn About USPS. New Jersey Saltwater Angler's Registry. If you are planning on fishing off our coast this year, recreational fishermen must be registered with the state of NJ. Get details about the NJ Saltwater Recreational Registry Program and sign up now at their web site. Get Your Ship's Store Items Now! The Barnegat Bay Sail and Power Squadron Ship's Store has some neat items for your boating and sailing activities. See the attached PDF flyer for details, or contact Ron Dornau for additional information. America's Boating Course. America's Boating Course teaches basic boating safety, and optionally includes how to read a chart and navigate your boat safely within sight of land. Successful completion of America's Boating Course proctored exam will allow you to obtain a New Jersey Safety Certificate for boating on New Jersey waters. 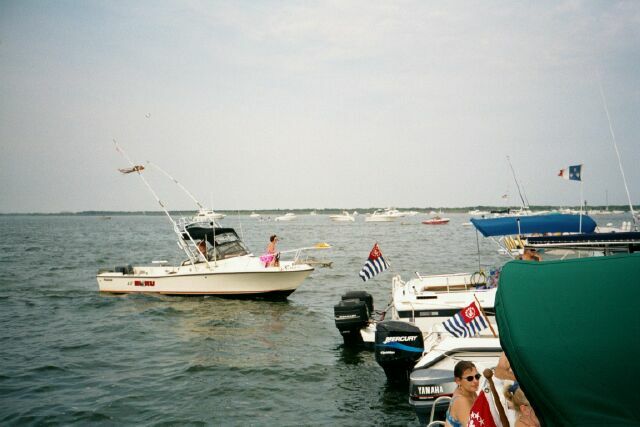 The next sessions of the America's Boating Course conducted by Barnegat Bay have not yet been planned. You can find information on dates, times, and places on USPS public boating courses at the USPS courses web site. 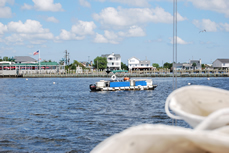 To preregister for any Barnegat Bay public boating course or seminar, just click here. If you can't take a course in person, you can take the on-line America's Boating Course - 3rd Edition, and then just take the exam in person with any squadron that's convenient for you. Passing the exam will qualify you for your NJ state safe boating certificate. Public Seminars. 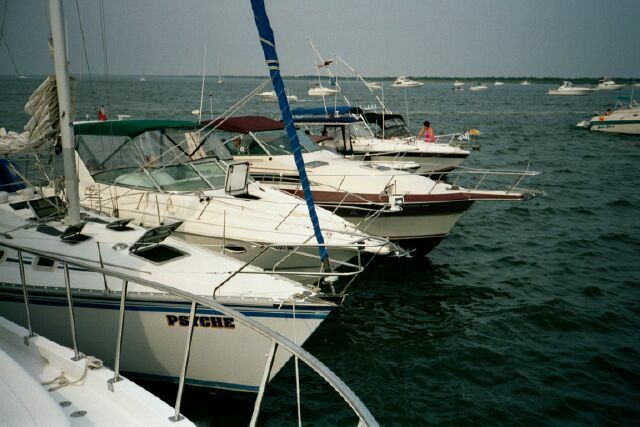 Barnegat Bay conducts seminars open to both members and the public on boating related topics. While available to the general public at regular prices, USPS members get a discount on these seminars. Check them out now at https://americasboatingclub.org/education-matters/online-boating-education/! USPS Advanced Courses. 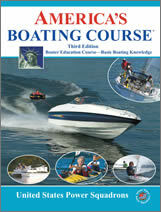 Depending on student desires and enrollments, BBSPS also offers advanced courses of study on boating topics. While these courses are usually offered to members only, changes in USPS policy now allow us to teach these same courses to the public. Advanced courses are listed here. There are no scheduled raftings at this time. There are no rendezvous scheduled at this time. Not sure what a rafting or rendezvous is, or how to participate? Read or print the rafting "how to" article by BBSPS P/C Phil Lloyd, SN. There are no scheduled cruises at this time. Under this program, USPS members supply information to the Marine Chart Division of NOAA leading to corrections to nautical charts, small craft charts, and Coast Pilot publications. Members also supply data on depth surveys, range status, tidal current surveys and geodetic marks and formerly, aeronautical charts. The Aid To Navigation Inspection program allows for damaged or misplaced Aids to be reported. The Adopt-A-Chart subprogram provides for individual squadrons to assume responsibility to keep a chart or a portion of a chart in their local boating area up to date and get recognition on new editions for their work. The USPS Cooperative Charting Program is recognized as the most effective user-participation program in all of the Federal services. BBSPS has several members who can give your vessel a voluntary safety check to ensure it meets minimum safety requirements. Other USPS squadrons and US Coast Guard Auxiliary flotillas also have this capability. Get more information through links on the USPS Vessel Safety Check web site, or contact Mike Bodnar at 732-840-1875, BBSPS Vessel Safety Check Chairman, to arrange for your own boat's safety check. 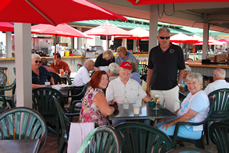 Here are some pictures of a Rendezvous at Key Harbor Marina and a BBSPS Halloween Party. 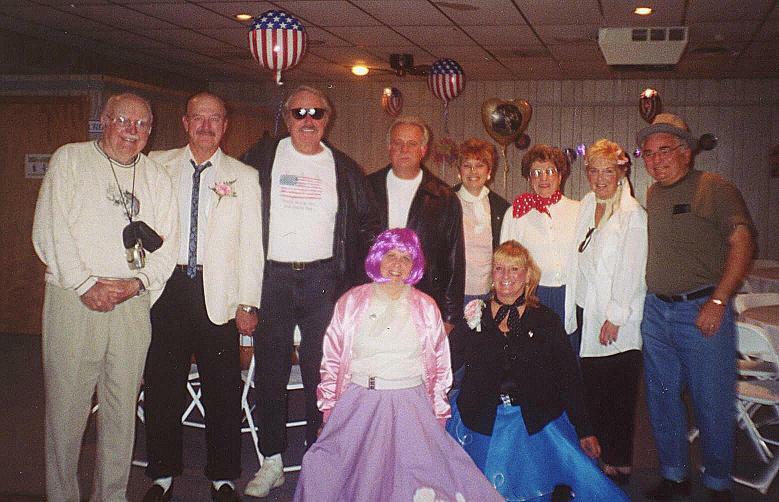 Also see the Barnegat Bay Face book web page for pictures, including our 50th Anniversary Party. Click a small picture below to see it full size. Besides improving the self-education of its members, along with reduced insurance costs for successfully completing its courses, many other discounts are offered to all members of the USPS. A complete listing of member benefits is on the USPS Member Benefits web page. Not a member of USPS? JOIN USPS and enjoy ALL the benefits of membership! Read the BBSPS bylaws, or print a PDF copy of the bylaws here. Note: The web version of the bylaws may be formatted differently than the original hard copy version; conversions don't always work as intended. If you have a specific squadron question, please contact the appropriate bridge officer. Phone numbers and e-mail addresses are in the hard copy BBSPS Roster. This information is also available to USPS members on the USPS Information Center web page under Membership Information on the left side navigation pane by searching for the particular member desired. If you have any specific suggestions for topics you would like to see on this web page, please contact the webmaster, Tom Brincka, SN. Questions? Contact Barnegat Bay Sail and Power Squadron via this contact form. Any of our squadron officers and members may be reached using this membership directory web page after logging in using your USPS certificate number and PIN. USPS. Click on the below logos to go to other USPS web pages. 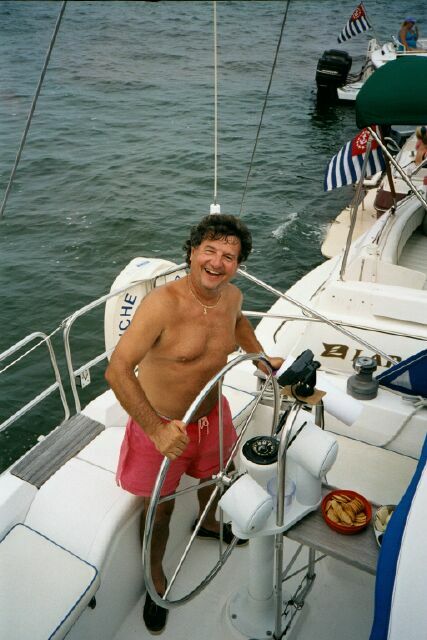 Also check out the the on-line version of The Ensign for interesting boating article. There are also USPS educational videos available on YouTube. Even better, JOIN USPS and enjoy ALL the benefits of membership! Visit the New Jersey State Police Marine Services Bureau web page for boating information. Visit the Marine Trades Association of New Jersey for local news. 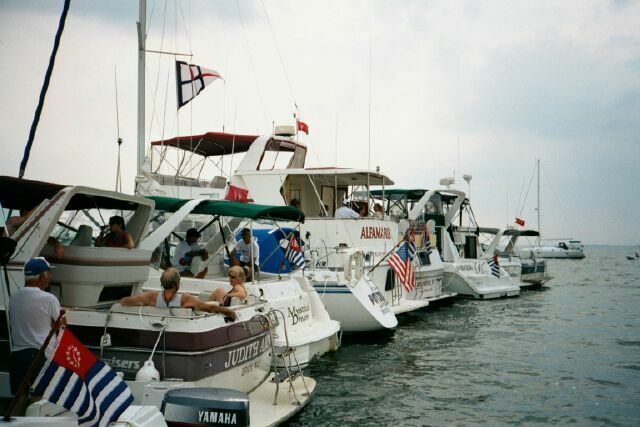 Need information from the state of New Jersey or another state on licensing or other boating related topics? Visit the USPS State Boating Information web site, clicking on the desired state, for specific information. SailAngle is a boater's forum and useful for discussing topics of interest to boaters, both USPS members and the general public. Follow these links to the National Weather Service, the National Oceanic and Atmospheric Administration, the U.S. Coast Guard, and the U.S. Coast Guard Auxiliary. Don't have Adobe Acrobat Reader? Click here to go to the Adobe web site to get your free copy. Then install it on your computer, and you're ready to view and print Adobe Acrobat (PDF) documents! If you have any specific suggestions for topics you would like to see on this web page, please contact the webmaster, Tom Brincka, SN.